Florence is a beautiful city to visit and I thought that I’d look at some pictures I’d taken to find some examples of things that are round. First I found many examples in the Duomo. 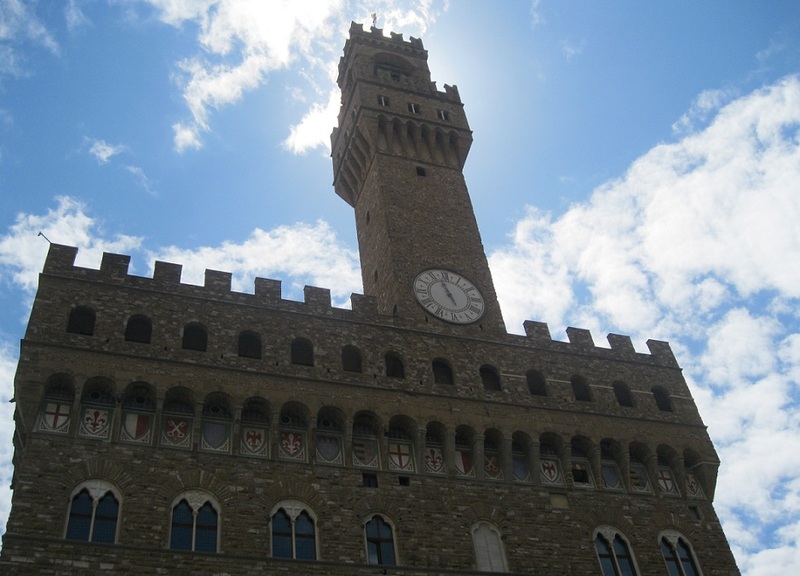 Next I noticed the clock on the Palazzo Vecchio. Then I thought of something a little different. Since I’m always looking for gelato when I’m in Italy it occurred to me that what could be better than a scoop of gelato in a round cone? 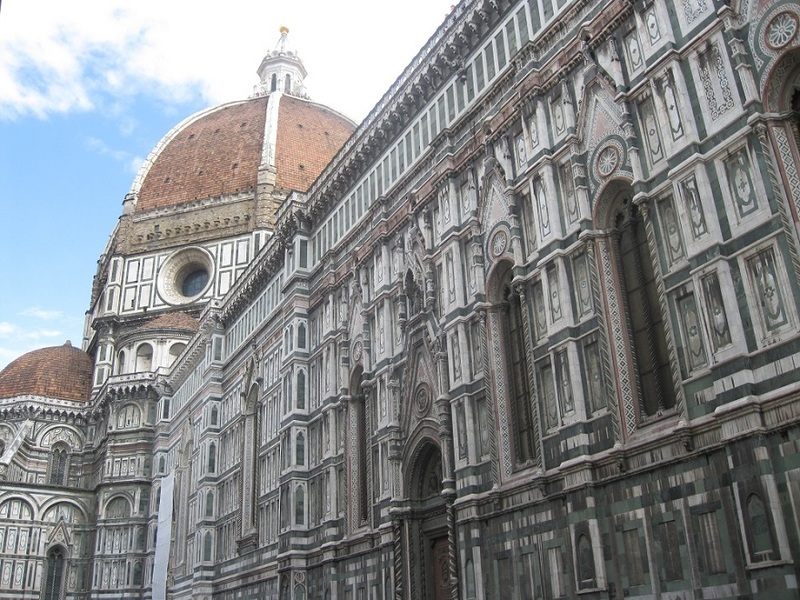 This entry was posted in Florence, Italy, Travel and tagged Duomo, gelato, Palazzo Vecchio. Bookmark the permalink. I had maple walnut gelato for desert at lunch today, a nice round scoop in a round bowl. Yummy. Great pictures! Thank you Darlene – that gelato sounds so delicious! Oh my goodness, that gelato is incredible! Great photos, as always. That day of sightseeing in Florence was so beautiful and it was nice to find some gelato too! It’s a fantastic city and one of my favorite places too! I wish I had spent more time there. super choices, gelato and round go together so well! It always comes back to the gelato, doesn’t it? It does – I’ll always mention gelato when the opportunity arises! For a moment I thought you were spending Easter in Florence! I was speechless :) (with jealousy). I’ll just carry on dreaming of the Duomo. Happy Easter, Meg! I’m not there now but it would be nice… Happy Easter to you Jo! Thank you so much Bea – I think that Florence is magnificent. Have a very Happy Easter! Love Florence and Siena! Great choice, Meg! Thanks Amy – they are simply wonderful cities! Lovely pictures Meg – been to Florence years ago, we are going back again at the end of May, your pictures have got me excited about this trip! Thanks and I hope that you have a marvelous time in Florence! Now you made me want to go back…lovely shots and round ones…And, gelato! Florence is such a beautiful city, I would love to go back there. I know what you mean – I’m looking forward to going back too! Thanks – it was such a cheery scene and I did get a gelato cone there too! Those are not just rounds of gelato, those are mounds. :-) And beautifully colorful. You had your priorities straight in following the “round” challenge and ending with gelato! Wonderful pictures of a wonderful city. Thanks Suzanne and I agree that Florence is simply wonderful! I’m with the rest of the group…gelato rocks in the round! Yum. Beautiful shots of lovely Florence, Meg! You had good examples and I had to smile with your gelato example as I know how it is one of your favorite things when in Italy. Thanks Karen – I was so happy to be able to include gelato as one of the examples! 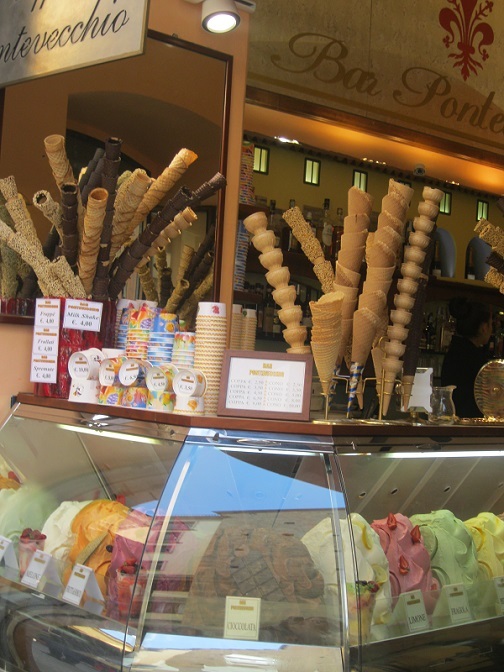 I really liked those round cones and all that delicious gelato! Ahhh…Florence. Hopefully Italy is in my near future once again. Isn’t it amazing? Florence is simply gorgeous and I hope that you get to go there again very soon!